Few arenas in professional hockey are as legendary as the fabled Montreal Forum. Opened in 1924, the Forum was the home of the Montreal Canadiens from 1926 to 1996, when the Habs moved to the Molson Centre (now called the Bell Centre). 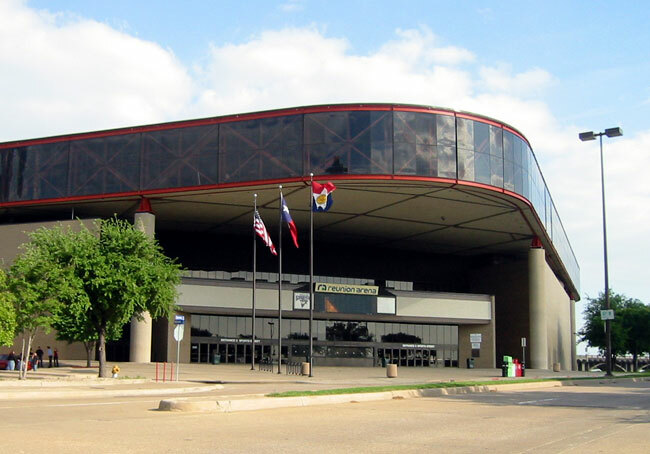 It was built by the Canadian Arena Company in 159 days and when it closed, had a seating capacity of 17,959 (including 1,600 in standing room). Carbo played in the Forum for the first time on March 21, 1981, three days after his 21st birthday. Called up from the AHL's Nova Scotia Voyageurs (Montreal's farm team at the time), Guy played two games before being sent back down and notched an assist. Of particular note is the fact that Carbo wore the number 20 in his NHL debut instead of his usual 21, which was taken at the time by Doug Jarvis. Guy was also present when the Forum closed on March 11, 1996, just before his 36th birthday. The Dallas Stars were chosen as the opposing team in the Forum's final game because of their connections to Montreal (the general manager was Bob Gainey, and the team had many former Habs). 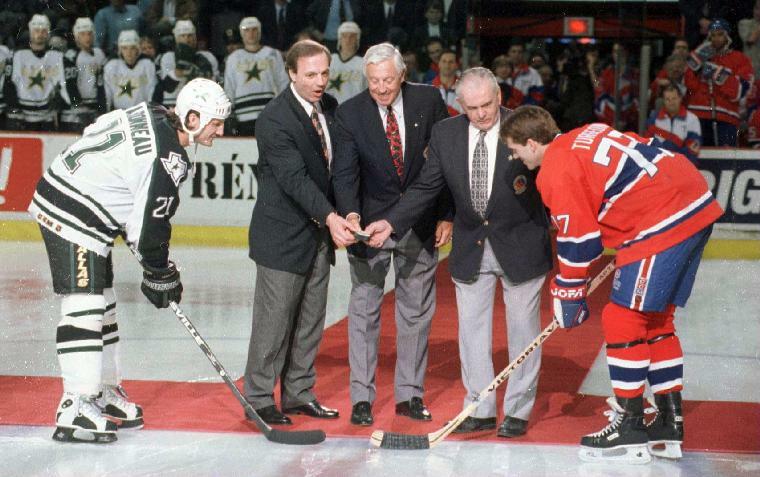 Guy took the ceremonial opening faceoff against the Habs captain, Pierre Turgeon. 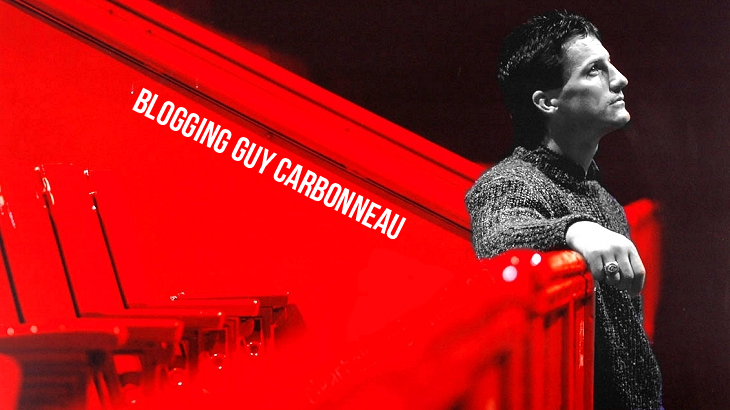 Carbo had a few shot blocks in the first period of the game which earned applause and chants of "Guy, Guy, Guy!" from the Montreal faithful. After the game, a ceremony was held with a torch being passed between Montreal captains. 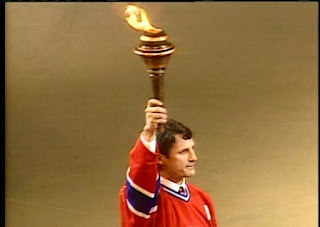 Guy received the torch from Bob Gainey and it was obvious that this made him proud. Here's a video from 1996 about the closing of the Forum, which includes a soundbite from Guy. 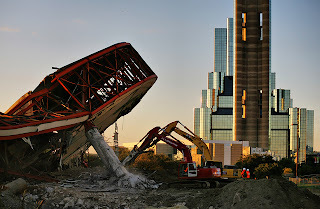 Here are some additional photos of the Forum. The exterior, after a renovation in 1968. The latter-day interior (this is what it looked like when Guy was playing there). Credit for both images: from this page, original credit unknown. 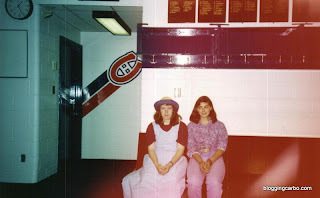 As an additional goofy bonus, here's me in the Canadiens' dressing room! 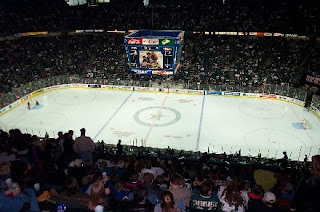 I visited the Forum in 1994 on a school trip, mere months before Guy was traded to the St. Louis Blues. I'm the one in the silly hat. My friend and I are sitting in Patrick Roy's stall -- Carbo's is right next to it. Not as legendary as the Forum by a long shot, Reunion Arena in Dallas is notable because it is where Guy played the final five years of his career with the Stars, as well as his last game on June 10, 2000. 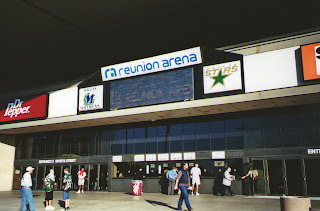 Built in 1980 with a seating capacity of 17,001 (for hockey spectators), it was named for the early mid-19th century commune, La Reunion. I always found the arena interesting in old game videos because it had a strange winding hallway to the locker room. The Stars moved from Reunion Arena in early 2001 to the newly-built American Airlines Center, and the arena was closed in 2008 and demolished the following year. Which to me as a Carbo fan, is kind of sad knowing the history it held in Guy's career specifically. Oh well. Here are some photos. And here's a final, sad shot of Reunion Arena during demolition.